The theme song of the upcoming film Venom mentions Mahatma Gandhi in the lyrics. The theme song of the upcoming film Venom mentions Mahatma Gandhi in the lyrics. 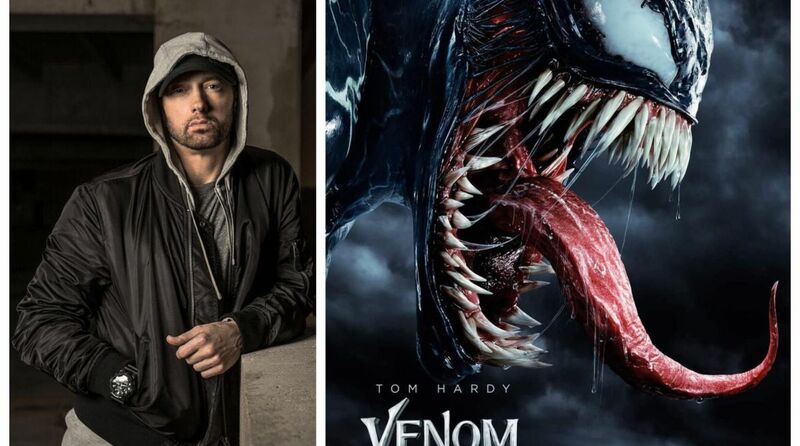 The film, which has Tom Hardy playing Eddie Brock aka Venom, has a title track sung by Eminem from his album ‘Kamikaze’. The song has a reference to the Father of the Nation. Eminem, whose real name is Marshall Mathers, shared a teaser of the song on Twitter. He posted a 15-second video with the lyrics. The song begins with “Venom, knock, knock, let the devil in” followed by the sounds of an animal roaring and a man crying out in pain in the background. He also raps about former professional racing driver Danica Patrick, hip-hop artist Yung Joc, author Edgar Allen Poe and rapper Dr. Dre. “Threw the car into reverse at the Indy, end up crashing…Into ya, the back of it — just mangled steel My Mustang and your Jeep Wrangler grill…With the front smashed, much as my rear fender, assassin… Slim be a combination of an actual kamikaze and Gandhi,” he continues. According to ScreenRant, the rapper compares himself to the bloodthirsty symbiote. It has minimal references to the actual plot of the movie. Directed by Ruben Fleischer, Venom also stars Michelle Williams, Riz Ahmed, Scott Haze and Reid Scott. It follows the popular Marvel anti-hero as he transforms from go-getter journalist to powerful alien symbiote. Venom was created in 1988 by Marvel Comics. The character made its big screen debut more than a decade ago in Sam Raimi’s Spider-Man 3, where he was portrayed by Topher Grace. The movie is intended to be the first film in Sony’s Marvel Universe. Sony Pictures India will bring the film to India. It is slated for release in October.